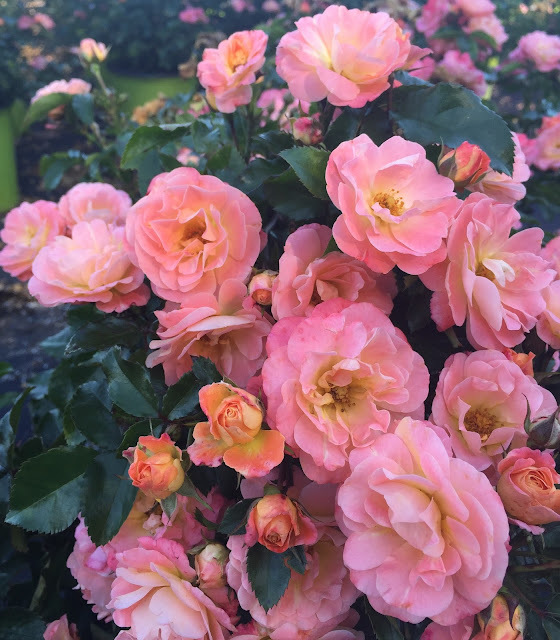 My affinity for Roses must come from my love of English Gardens or perhaps that my mom grew them in our yard in Southern California. 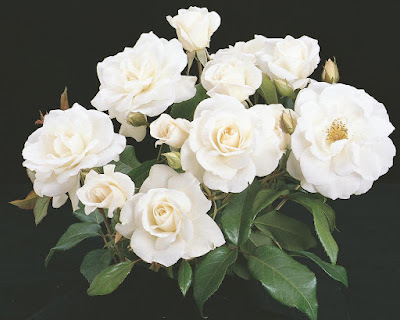 I remember my mom getting a miniature rose bush as a gift and then transplanting it to a corner of a yard when the flowers died. Then several years later we'd have huge bushes that took up the entire corner filled with red and yellow flowers. I've been pinning rose bushes to my Pinterest landscaping page and it turns out that I'm really drawn to the pink and white varieties. Here are some that I must get for my garden come spring. BTW, if you live in the Triangle Area in NC, I highly recommend Witherspoon Rose Culture. 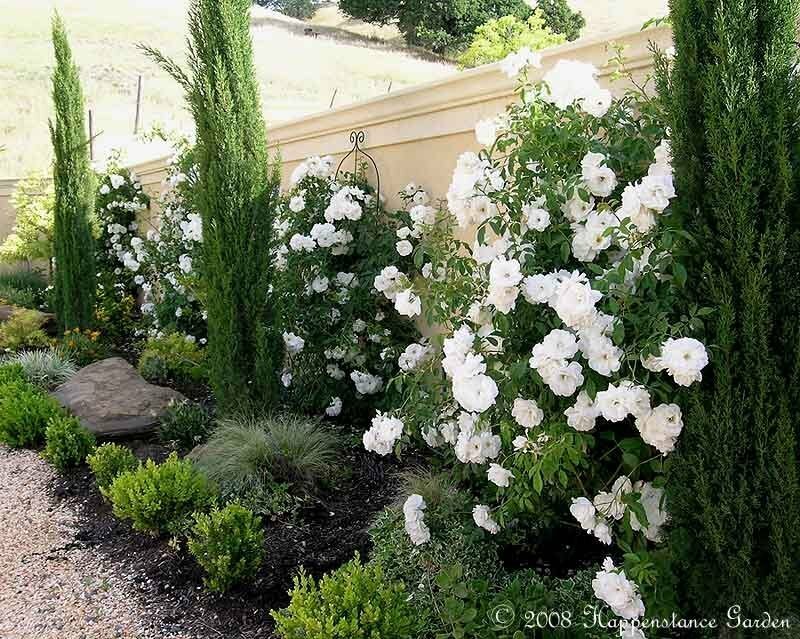 In the backyard I want to plant four white Climbing Iceberg roses. These will get between 12-14' high and will look beautiful between my Italian Cypresses. 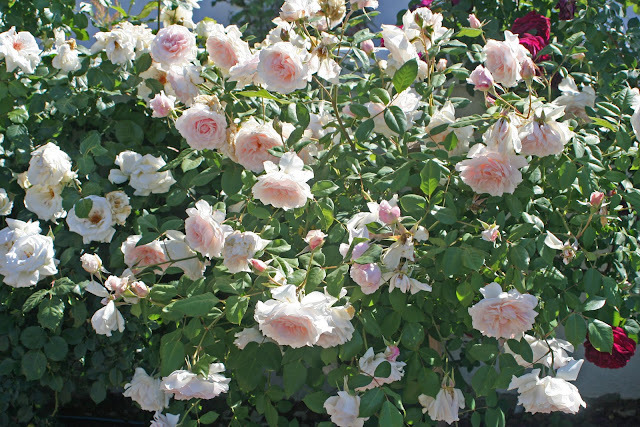 Here is how spread out it can get, but this may take many years and proper pruning. A close-up of the Climbing Iceberg. 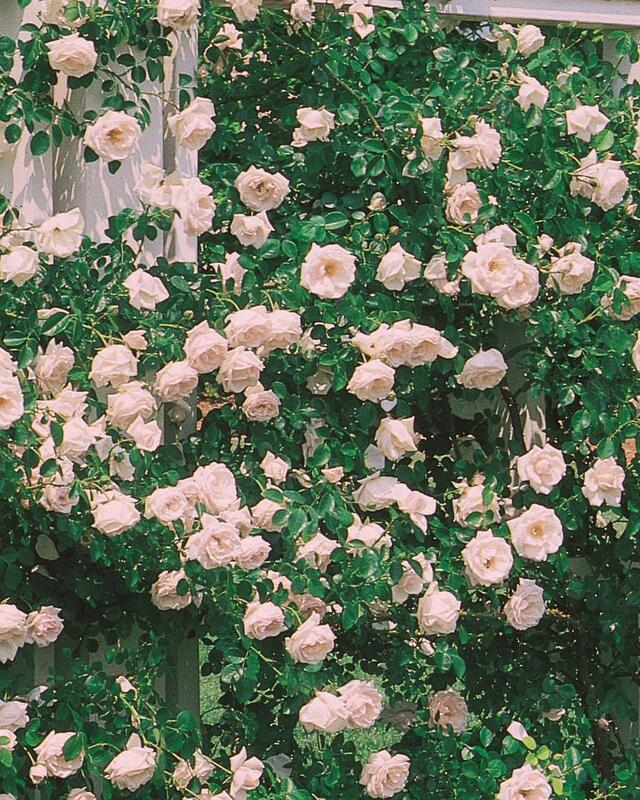 So the backyard is looking like white roses and evergreens on one side and currently I have a mixture of miniature roses on the other side that involves the following purple, red, and yellow roses. I know it's a hodgepodge but I kind of like having a space in the yard to plop down gift roses just like my mom did when I was young. In the front yard we added a Climbing New Dawn light pink rose bush that will hopefully climb beautifully over the garage. Come Spring Joe will design and install a trellis over the garage to hold it because it can climb upwards of about 18-20'! 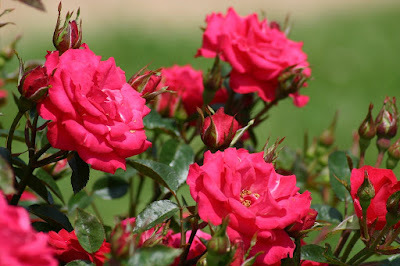 A few other rose bushes were added to the front yard this past summer that I think will grow so nicely this spring and I can't wait to see them come back to life. 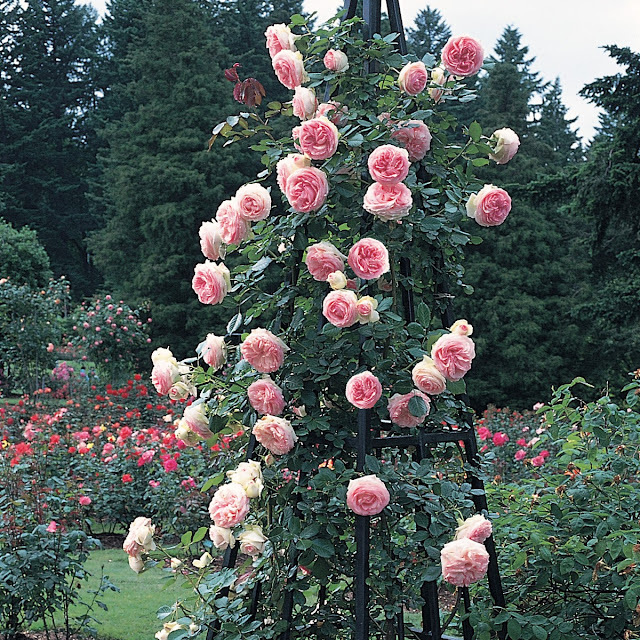 The first is the Margaret Merrill rose bush. 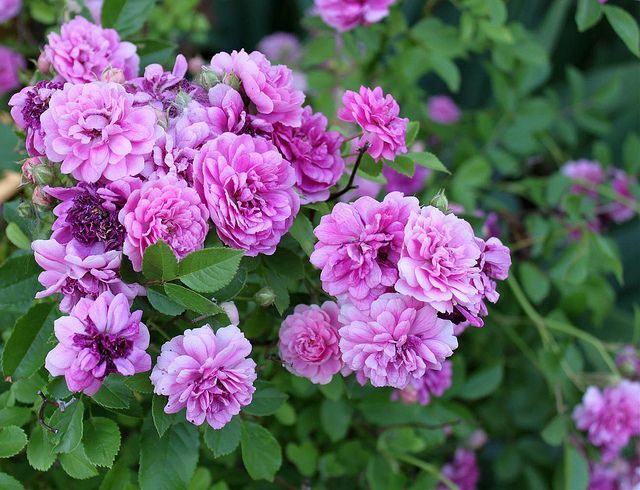 It has one of the most fragrant scents of any rose bush I've ever smelled. Roses in the front are definitely leaning towards whites and pinks. 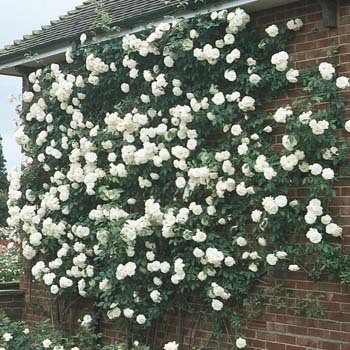 In the front left corner of the house I would love to have a Climbing Eden Rose bush on the fence. 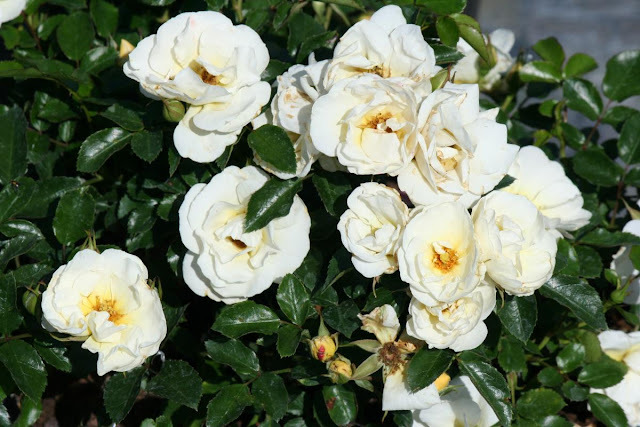 I put in several (6) cute popcorn drift roses that are super soft yellow that turn into a pure white as they mature and seem to last all season long. 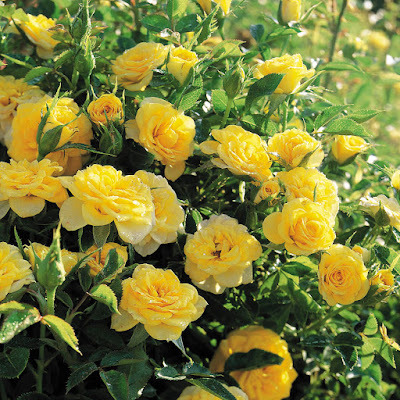 In addition to the yellow popcorn, we installed the six peach drift roses shaped like topiaries down the driveway. I hope that by summer's peak I can take some photos of my roses in full bloom for you. They are truly worth the effort.